Madison is just now at the age that she is really enjoying her friends. We have been very fortunate to get hooked in with some wonderful families that have wonderful children. Luckily, Madison even gets to go to school with a few of them as well. So today we are thankful for our friends. Some of them old friends…. and some of them new. 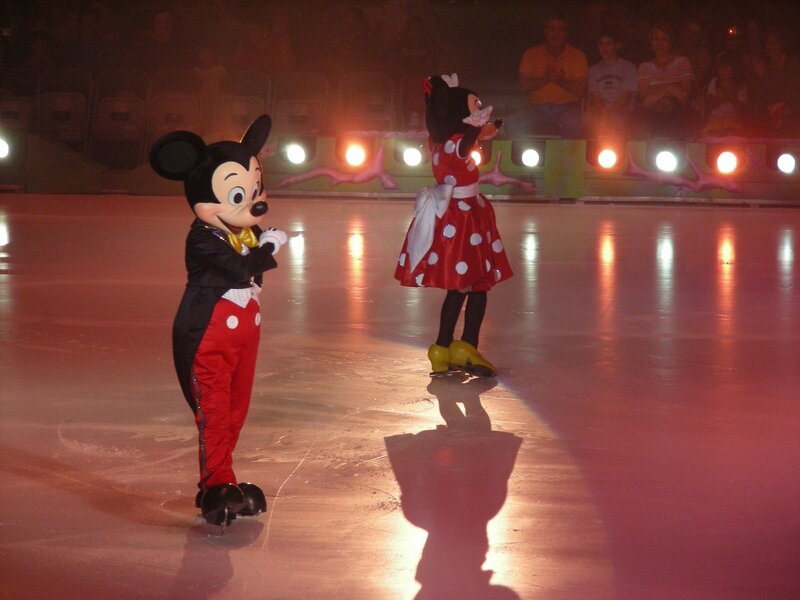 Last night we were lucky enough to get to take Madison and her friend Austin to see Disney on Ice. The girls sat astonished as one Disney Princess at a time would come out and perform a little piece of their story. We got to see Mickey and Minnie Mouse…. 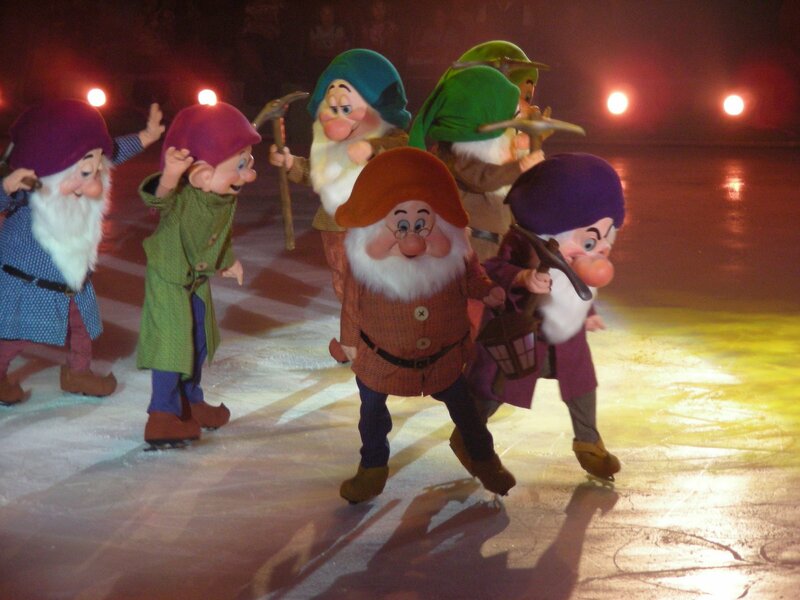 Snow White and the Seven Dwarfs…. 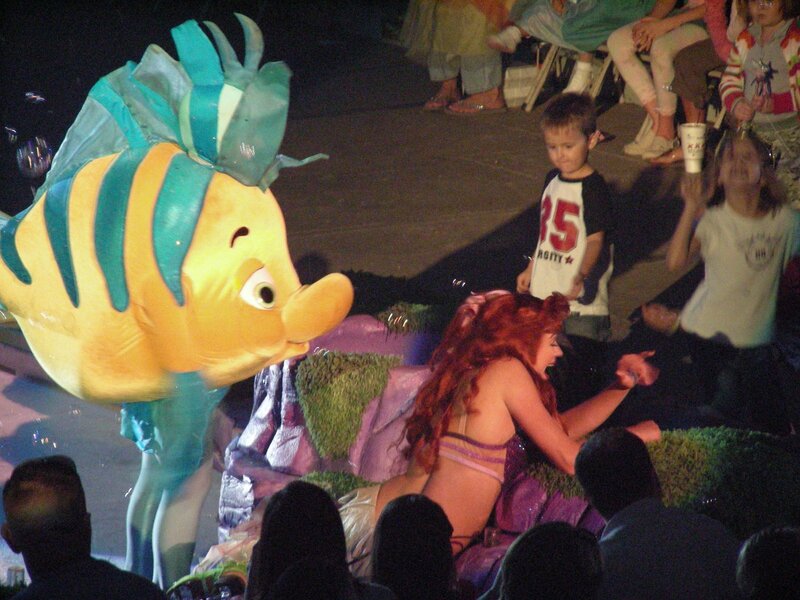 Ariel (she was our favorite)….. There were others too but these were the ones that we anticipated the most. Afterwards we went to the fair and rode the ferris wheel and merry go round. We had a blast!! There is one very important member of our family that we have yet to introduce. Please allow me to introduce our beloved “Bubby”. 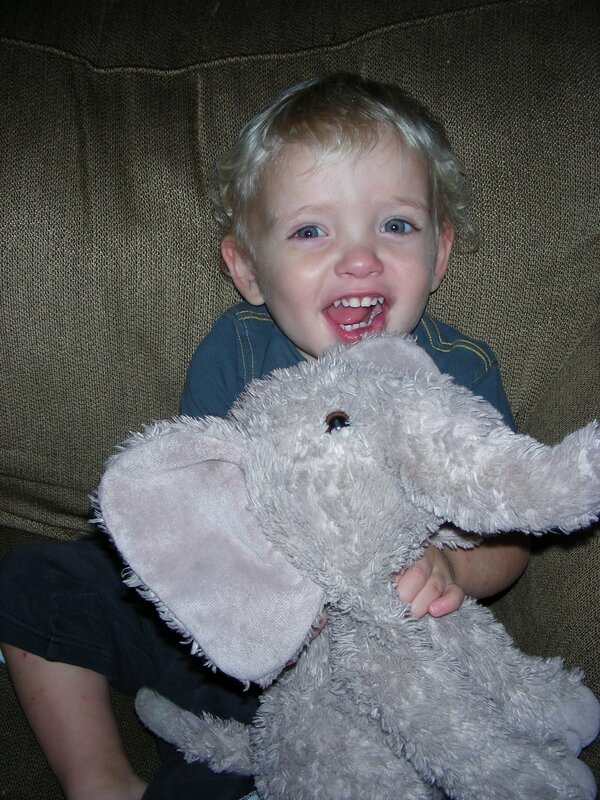 Bubby is Eli’s closest friend in the world (next to his Mommy, of course). Eli and Bubby go and do everything together. When Eli cries, Bubby is there to dry his tears. When Eli’s nose is yucky, Bubby sacrifices one of his ears….and if need be, maybe two. And when we are trying our hardest to avoid being put to bed, Bubby gladly leaps from Eli’s arms so that Mom and Dad have to make the trip back to get him while Eli escapes from his bed. It is amazing that getting a new camera can bring about such loving children. Normally getting them to sit together in a room without major incident is a miracle….but recently I have discovered that all fighting subsides and is quickly replaced with a chorus of “Cheese” as soon as the camera is within sight. 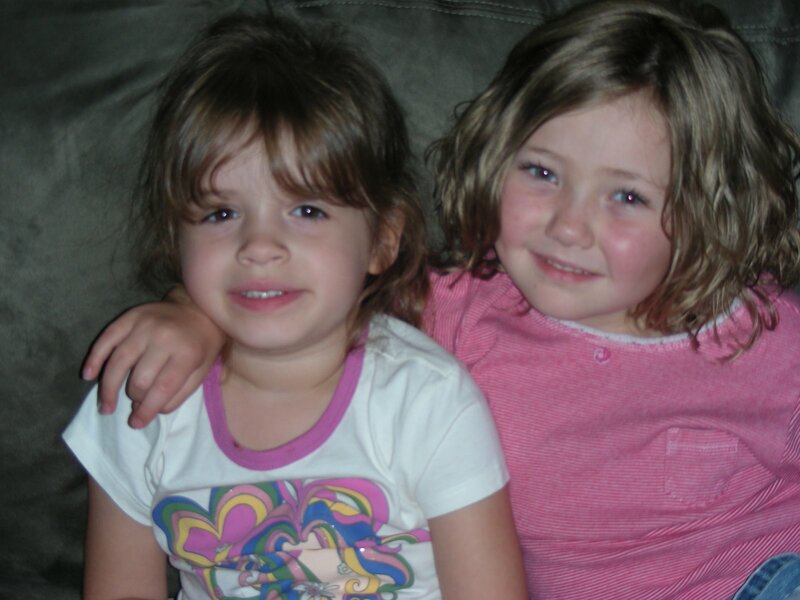 This is our most recent family photo….what little angels! A good friend of mine recently took these beautiful picutres of Lillie. It is amazing that even at two months old it is obvious that she is different from her older brother and sister. 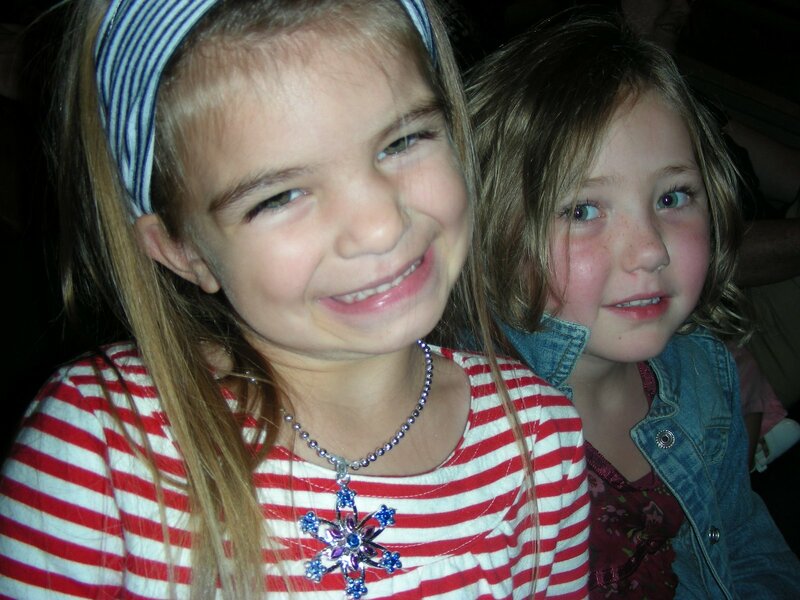 Madison was our quiet baby….never smiling at strangers….a master at the poker face. 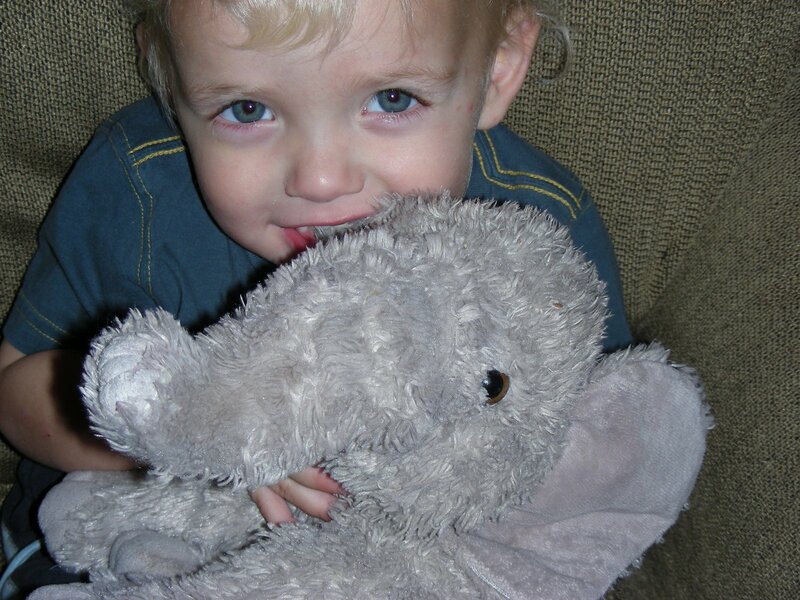 Eli was our watcher….constantly watching his older sister’s every move. And now we have Lillie…she smiles at everyone and everything but is not overly interested in either of her older siblings. Each child, beautifully unique and perfectly created. Here are a few pictures…hope you all enjoy!! Well, We have finally decided to get organized and actually do a family blog. We got a new camera, so that was great motivation. For those of you who are close….we love you and we are truly appreciating the old phrase “it takes a village”…..and for those of you that are far away….we love you and miss each of you. We hope you all enjoy these little snapshots of our lives!